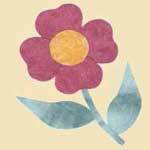 An applique can make an otherwise plain piece of fabric come to life. 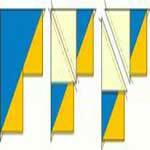 Most appliques are easy to sew and can add color and interest to a room or garment. This decorative technique dates way back yet is still popular today. 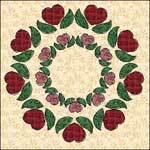 The free applique patterns found below consist of flowers, suebonnets, animals, Christmas and others. A 20" block with hearts as flowers. 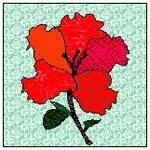 A free appliqué block for making a blooming azalea flower. 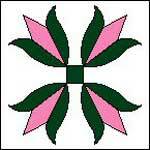 A flower pattern to be appliquéd on borders or scatter on a quilt. 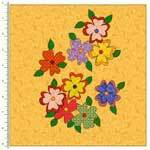 Let springtime begin with this 6" flower quilt block. 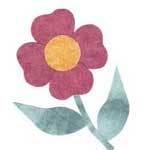 Basic flower shapes for appliqueing. 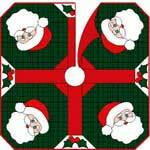 Cute Santa Clause tree skirt from McCall's Quilting. 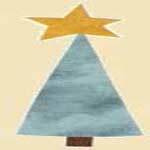 Basic Christmas shapes for appliqueing. 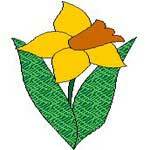 Over 50 birdhouses, sunflowers, angels and lots more. 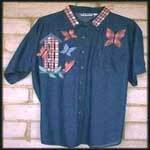 About 50 different applique designs listed. These patterns are from the 1930's. 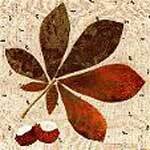 Including Christmas, oak leaf, tuplips and more. 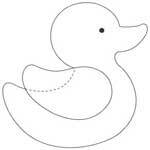 Basic animal shapes for applying. 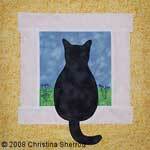 This is a set of instructions for a cute black cat looking out of a window. 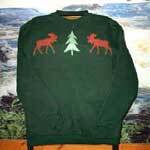 This is the standard 2 mooses around a tree applique. 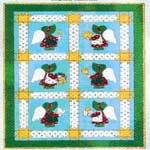 This sassy set of fun-loving feathered friends add interest to any child's quilt. 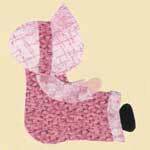 Basic Sunbonnet Sue shapes for adding to quilts and clothing. 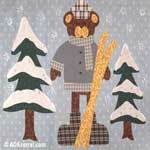 Cute Christmas wallhanging 38" x 51.5". 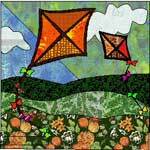 Make this spring kite block as a large block in a 4 seasons quilt or as a small wallhanging. 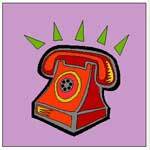 An old-fashioned dial telephone block to use in a quilt or wall hanging. 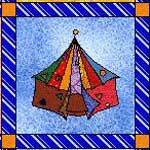 This series began with a circus tent. 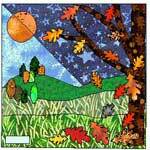 Make a fall scene with oak leaves with this 18" square free block to be appliqued. 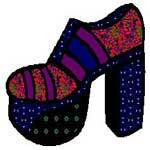 Make this retro stacked shoe block for your shoe quilt. 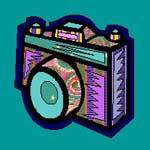 Here's a camera quilt block to appliqué. 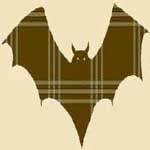 This 8" quilt block is great for fall.